Her Excellency Margaret Kenyatta is the First Lady and wife of the 4th President of the Republic of Kenya H.E Uhuru Kenyatta. President Kenyatta was elected on March 4th, 2013. 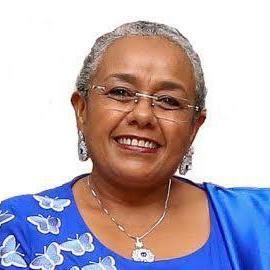 Her Excellency has a background in construction and architecture and is a strong advocate and active member of the African Union Organization of First Ladies for Africa (OAFLA), the umbrella initiative against HIV/AIDS, and The Campaign for Accelerated Reduction of Maternal Mortality-CARMA. Margaret Kenyatta is perhaps best known for ‘Beyond Zero’ – an Initiative governed by the fundamental belief that ‘No woman will die while giving birth’ where she has dedicated her time and resources to complimenting the Government of Kenya’s effort to eliminate maternal and child mortality and HIV/AIDS. The Initiative launched a unique flagship fundraising and awareness campaign, the First Lady’s Half Marathon (FLHM). She galvanized the general public, the private sector, international organizations and media towards the goal of improving access to quality health care for expectant mothers, children and marginalized groups. The Campaign focuses on leveraging and strengthening exiting health facilities and interventions alongside national and county-level platforms to ensure alignment of its activities. Margaret Kenyatta’s evident care for people, is closely followed by her love for the world in which they live; her desire is to leave this world a better place.